Specializing in customer care is our #1 Job! Certified Vacuum is second to none. 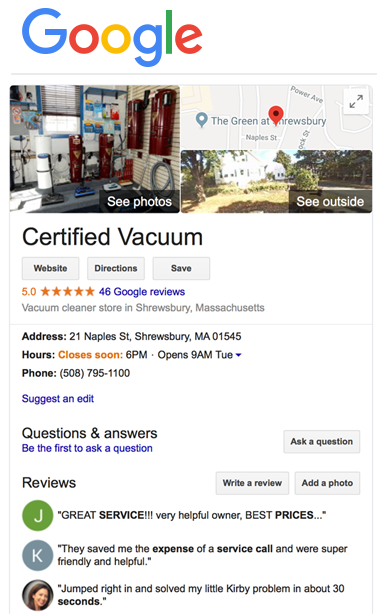 Certified Vacuum is a family owned business and has been serving the Worcester and Metrowest areas for over 22 years. We’re located in Shrewsbury right off Rte. 9. Certified Vacuum specializes in Sales, Service, and Parts of Domestic, Commercial, and Central Vacuums. As well as In-home installation and repair. Our pricing is the best you will find with Estimates on all vacuum repairs and in-home installations/Repairs. 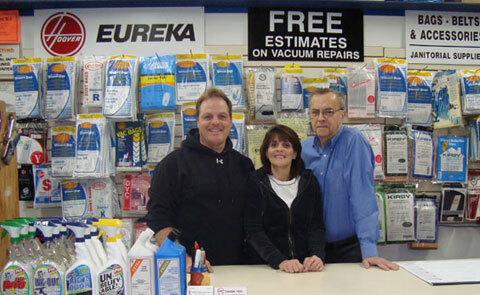 “We will meet or beat any local competitor pricing.” Owners Jay and Donna Wilson opened Certified Vacuum in 1992. Jay has been in the vacuum business for over 25 years and is certified through the VDTA (Vacuum Dealer Trade Association). You may remember us from SPAGS, Vacuum Service Clinics, or The Worcester Home Show. Our Goal is to maintain lifetime relationships with our customers by providing quality service after the sale or service. We pride ourselves on fast, friendly and quality service leaving you with the least amount of downtime.